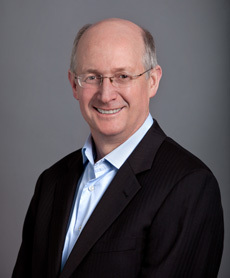 Paul A. Wakefield currently serves as the firm’s Chief Financial Officer. Prior to joining Athyrium, Mr. Wakefield was the CFO for the Alternative Investments Division of Neuberger Berman. With an AUM of $ 20bn, Mr. Wakefield covered all fund classes including: Private Equity Funds, Hedge Funds, Mutual Funds and Hybrid Structures. Previously, Mr. Wakefield was the CAO for the Lehman Brothers Global Controller, before moving to the Hedge Fund Group. Prior to joining Lehman, Mr. Wakefield was an M&A Consultant, Hedge Fund Controller and completed extensive special projects for Credit Suisse and BNP Paribas. Mr. Wakefield commenced his career with PricewaterhouseCoopers in Australia. At Horwath & Horwath International public accounting firm, he founded the Asset Management Practice, providing financial services for High Net Worth individuals and long term strategic planning. Earning his BA in Accounting from The University of South Australia, Mr. Wakefield is a Fellow of the Financial Services Institute, a CPA, has graduate degrees in Applied Finance and Investment and is a Fellow of the Institute of Chartered Accountants.